Plaque de MICA pour micro onde. Pour la protection des ondes, compatibilité universel. 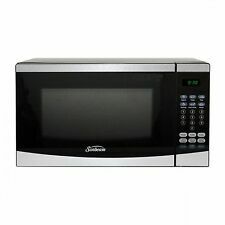 White Panasonic NNSN968W Countertop Microwave - 2.2 Cu. Ft. I believe it to be new, unused. If not, then it would be at least in very good condition. I think that I have identified the right microwave oven that it should go to. No box minor surface wear from storage. Has a digital clock, easy to clean stainless steel interior with light. quick start button, speed defrost and auto defrost modes. 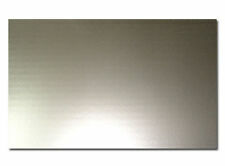 Microwave also has a done ready alert signal, stainless steel housing with glass door. Type: Countertop Steam Oven. Personal, powerful pizzeria-style oven. Cooks with Super-heated steam. Up to 60 minutes of steam cooking. Broiling pan and crisper tray included. Broiling Pan: Yes, included (12.5" x 12.5"). Oster 1.1 Cu. 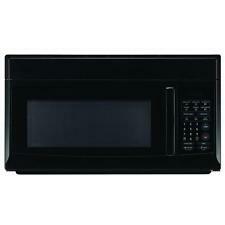 Ft. 1000W Counter Top Digital Microwave Oven - Black OGCMDM11S2. The Oster Microwave is in great condition with a small dent on the left corner never been used new in the box. 1000w of total cooking power. Microwave ovens are an essential kitchen appliance that saves time and effort. They are available in different sizes with many different features. You are sure to find one that suits your needs. What size microwave oven should you buy? A small or compact model is sufficient for reheating food. If you are cooking foods such as a baked potato, you may be fine with a mid-level size. The inner capacity sizes range from 17 liter to 32 liter. A large size of 27 liter to 32 liter is suitable for a family. Some larger sizes have a tall height for cooking one dish above another. What types of microwave ovens can you buy? Models available include convection, counter top, commercial, over-the-range, and built-in. If you have plenty of counter space, a counter-top model will suit your needs. A built-in or over-the-range microwave works well if you are lacking counter space. 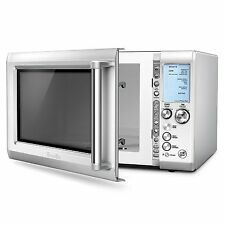 What power microwave oven should you buy? The higher the wattage, the more powerful the oven. 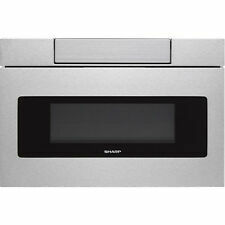 Compact ovens are 600 to 700 watts. Higher power levels range from 1,000 to 1,300 watts. What colour microwave ovens can you choose from? Stainless steel models are a common choice and will blend in if you have other stainless steel appliances. Matching the colour to your cabinets will also help it blend in. Black finishes give an inconspicuous polished look. Retro colours are available as well if that suits your preferences. Defrost: Defrosting is a handy feature if you find yourself in a pinch and need to quickly thaw some frozen food. Child lock: This feature will keep your safe from tampering with the settings or disturbing during cooking. Drop down door: The door drops down to enable easy transfer of food to and from the oven. When the door is down, it provides a convenient place to place your hot dishes. Linings: Liners line and self-clean the oven. The available types of liners are catalytic and pyrolytic. Sequencing: Changes the power levels automatically. You can defrost and then cook your food without intervention. Power: You can set power levels based on low to high depending on the heat setting you want to cook your food. Preset programming: Preset controls are set to popcorn, defrost, pizza, and more. You choose the control that matches the food you are cooking without having to set the timer yourself.